The FAOR12 automatic 2 pole rotor winding machine uses flyer winding technology and is suitable for 2 pole rotors with straight slots or skewed slots. This machine is typically used in production lines for portable generators. 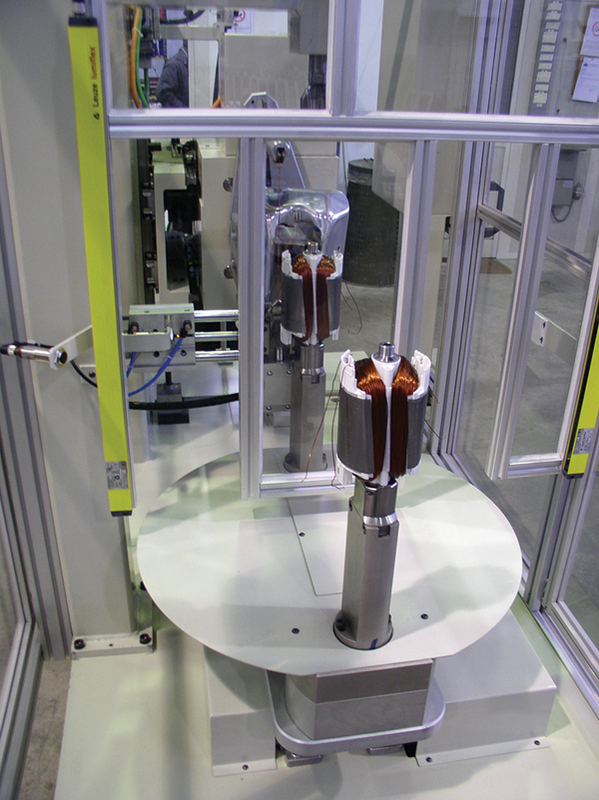 The high speed flyer winding system is PLC controlled and is fully programmable. High precision layering of the wires directly into the slots provides excellent well balanced coils on both rotor poles. 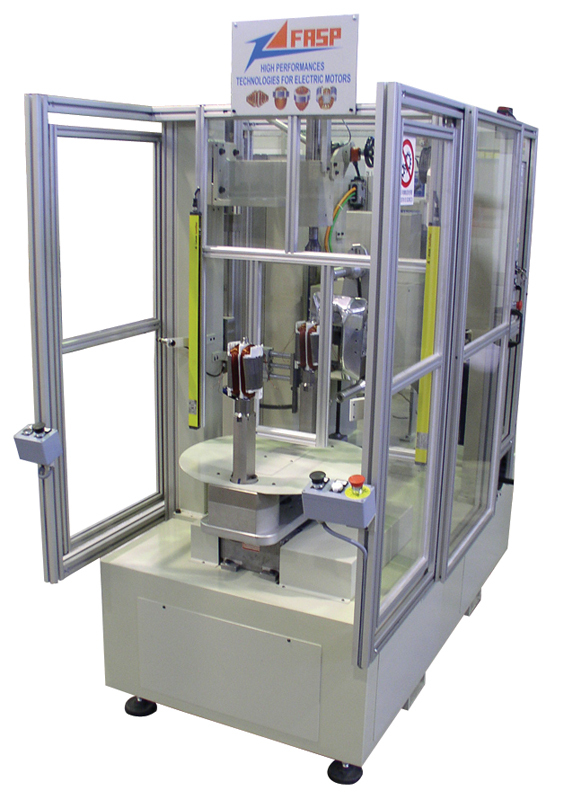 This high performance 2 pole rotor winding machine can also be integrated into a fully automatic line where it is possible to automatically load the slot wedges. A 2 pole rotor is mounted vertically on a dual position rotating table which means that rotors can be loaded / unloaded within the machine winding cycle time. This therefore eliminates any downtime for this operation. Safety light guards are also supplied as standard to make loading / unloading easy for the operator. The FAOR12 tooling is very robust and simple to fit into the winding area. It is possible to flyer wind multiple copper wires through the high speed flyer head but a technical evaluation would have to be made before any proposals could be offered.